"What is truth?" Pilate asked — a question worthy of a philosopher. For nearly two millennia Christian theologians, clergy, and laymen alike have tried to answer this question and define their identity as people "of the truth." But conflicts soon arose over what Jesus taught, and visible borders began to be inscribed defining truth and error, right views and heresy, and, inevitably, "our God and your god" — a tragic paradox in a faith that teaches gentle loving wisdom. Discerning Jesus' actual teachings is another paradox. "Seek and you will find" is commended in both Testaments, and our surest answer is said to be in our hearts. But as to scripture and tradition, who defines truth and what is spiritually authentic? Rehearsing again a chain of events frequently observed in religions illustrates the problem*: A teacher like Jesus or Gautama begins to teach. He isn't well known — people are often satisfied with their own faith or occupied with other matters. Historians may miss him completely, causing later generations to wonder if he existed at all. Most people reject him, for he does not fulfill their expectations of what a teacher should be, and his teachings do not jibe with their own beliefs. Indeed, they often appear novel and strange, challenging established norms. But a few recognize the worth of the message and, being deeply inspired, share it with others. In time a tradition forms to preserve and transmit the teachings, which may eventually be written down. However, as this may occur decades or even centuries after the teacher's passing, his original message may be partially forgotten, infused with foreign doctrines, or otherwise altered. Further difficulties arise when we learn there are both public and private teachings, the inner mysteries being reserved for the "spiritually mature" — an early Christian phrase. Leaving aside writings which are lost or destroyed, virtually all records of teachings are edited, some with text inserted, modified, or deleted and variant readings due to scribal errors. They are also translated, sometimes mistranslated, copies are made from copies, and over the years, little by little, the original message erodes. *See "Cyclic Renewal of the Theosophic Spirit," Sunrise, April/May 1997. There are yet more serious problems: as soon as the teacher departs, discussion arises over the content of the message. One disciple thinks the Master intended one meaning, another something different. In trying to preserve and explain the true teachings, schools of interpretation are formed, points of agreement decided upon, dogmas formalized, and there follows one schism after another — not to mention the proliferation of counterfeit teachers and new revelations — all claiming spiritual authority, until at length we have a smorgasbord of conflicting doctrines, systems, and groups. A replay of the tower of Babel — a confusion of "languages" — and, regrettably, a pattern from which few religious movements have been exempt. This pattern, as it applies to Christian history, is well known to scholars, clergy, and the educated public. 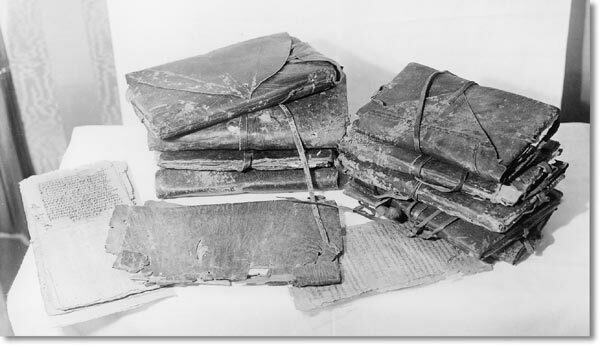 However, since the 1945 discovery of a unique collection of early Christian documents at Nag Hammadi, Egypt, augmented by the Jewish Dead Sea scrolls and other 20th-century finds, the ways in which this story has been interpreted, understood, and retold have distinctly changed. In 2003 several books by respected scholars of early Christianity have synthesized over a half-century's work on the Nag Hammadi writings and their relationship to traditional Christianity. Taken together, four of these books offer a thoughtful, accessible, yet detailed study of the diversity of early Christian communities from the time of Jesus to the formation of the New Testament canon, and the diverse ways in which that history has been told since. * As their titles indicate, they focus on those groups and writings which emphasized Jesus' secret teachings — the mysteries and hidden wisdom of God referred to in the New Testament — and the importance of gnosis ("knowledge," spiritual discernment, or enlightenment) as both necessary to, and the fruit of, spiritual regeneration. Up to 1945 most information about the Gnostics was second and third hand, derived mainly from the censorious writings of the early heresiologists, such as Irenaeus, Tertullian, Clement of Alexandria, and Epiphanius. * Their efforts were largely motivated by the perceived need to define the content of faith in order to weld together a cohesive Christian community, whose fragile existence was frequently threatened by persecution without and divided opinion within. Aside from combating distortion, fantasy, and imposture, one of the most intractable problems centered on esoteric knowledge — the mysteries alluded to by Jesus: how to define the indefinable, "that which cannot be, or is unlawful to be uttered," and to distinguish it from what they felt was "falsely so-called gnosis." Just as in today's living New Age laboratory, there was a surfeit of divergent claims in the first few centuries of the Christian era. As Bart Ehrman points out, winners write the history books and choose the sacred texts. For the early "proto-orthodox" Church Fathers, creating a Christian identity meant not only defining the structures and contents of faith, but also defining their opponents by showing how different, wrong, and evil their doctrines were — in contrast to Jesus' authentic teachings as transmitted by the apostles and their appointed heirs. However, the documents found at Nag Hammadi,† many of which also claim apostolic authority, reveal a picture of some of these "lost Christianities" that doesn't mesh with the standard versions in significant and fundamental ways. *The words gnosis, gnostic, and gnosticism are being reevaluated in light of the new material — a central issue in Karen King's study. Prior to 1945, only a few works by Christian gnostics were available, such as the Pistis Sophia and the two Books of Jeu, as well as some non-Christian Hermetic, Mandaean, and Manichaean texts (see Kurt Rudolph, Gnosis, 1987, pp. 25-30). One can also speak of an Orphic, Pythagorean, Platonic, and an Oriental gnosis, but all of these including the Jewish and Christian are part of a larger story concerning the universal Mystery tradition. † Full text translations are collected in a single volume, The Nag Hammadi Library in English, James M. Robinson, ed., 3rd edition. Several years later, still wondering what was so compelling about Christianity, Pagels decided to look for the "real Christianity" and entered the Harvard University doctoral program, there to discover what was then little known outside of academic and theological circles: gospels and apocrypha (secret books) written during the first centuries containing sayings, rituals, and dialogues attributed to Jesus and his disciples — many of them among the 52 tractates comprising the Nag Hammadi library. These revealed to her a diversity within the early Christian movement that the later "official" versions of Christian history had effectively suppressed. And their content challenged her. Predisposed by Irenaeus's denunciation of secret writings as "an abyss of madness, and blasphemy against Christ," she had expected the texts to be "garbled, pretentious, and trivial. Instead I was surprised to find in some of them unexpected spiritual power" (p. 32). The act of choice — which the term heresy originally meant — leads us back to the problem that orthodoxy was invented to solve: How can we tell truth from lies? What is genuine, and thus connects us with one another and with reality, and what is shallow, self-serving, or evil? . . . Orthodoxy tends to distrust our capacity to make such discriminations and insists on making them for us. Given the notorious human capacity for self-deception, we can, to an extent, thank the church for this. Many of us, wishing to be spared hard work, gladly accept what tradition teaches.
. . . Most of us, sooner or later, find that, at critical points in our lives, we must strike out on our own to make a path where none exists. What I have come to love in the wealth and diversity of our religious traditions — and the communities that sustain them — is that they offer the testimony of innumerable people to spiritual discovery. Thus they encourage those who endeavor, in Jesus' words, to "seek, and you shall find." The Jewish Talmud relates the story of four men who entered the heavenly Orchard (Hebrew pardes or Paradise). Ben Azzai looked and died. Ben Zoma looked and lost his mind. Acher cut his plantings, while Rabbi Akiba, who entered in peace, left in peace. The story is a cautionary tale about mystical ascents in search of spiritual knowledge. Unprepared journeys were universally prohibited in the ancient Mysteries, as they were held to be dangerous not only to the initiate's psychological and physical health, but potentially harmful to others should the knowledge gained be misused for selfish ends. Hence the strictures of discipline and silence imposed as protections against injury and abuse — and a reason for secrecy. The Gospel of Thomas alludes to this when Jesus tells Thomas three secret words. Asked by his fellow disciples what these are, Thomas replies, "If I tell you one of the words which he told me, you will pick up stones and throw them at me; a fire will come out of the stones and burn you up." In the same episode (13), Jesus asks them to compare him to someone. Simon Peter describes Jesus as a righteous angel, Matthew calls him a wise philosopher, while Thomas — "intoxicated" by divine wisdom flowing from the bubbling spring — says "my mouth is wholly incapable of saying who you are like." Paul writes in the same vein about the man (himself) who was "caught up into Paradise and heard inexpressible words, which it is not lawful for a man to utter" (2 Cor 12:4). Myths and parables were the public language of the ancient Mysteries; and while no detailed statements of higher teachings are available, their fundamental content was never secret. Cicero, for example, praised Athens for its many contributions to civilization, "but nothing better than those Mysteries by which we are formed and molded from a rude and savage state of humanity; and, indeed, in the Mysteries we perceive the real principles of life, and learn not only to live happily, but to die with a fairer hope" (De Legibus II.14). Their institutional forms were collegial bodies broadly structured like modern universities into undergraduate and graduate studies — called the Less and Great Mysteries — whose "curriculum" revolved around the mysteries of death and rebirth: the progressive awakening and raising of the soul to knowledge and union with the divine essence within. Paul speaks the language of initiation when he says "I travail in birth again until Christ be formed in you" (Gal 4:19). Although most churches today portray Christianity arising out of Judaism as a unique spiritual event in fulfillment of messianic prophecies, downplaying or avoiding the issue of secret knowledge, modern historians remind us of Christianity's genesis in a far more complex spiritual, philosophical, and political matrix which had been developing for centuries. In addition to normative Judaism, which itself rested on an esoteric foundation (Gentiles saw Judaism as a secret Mystery religion), the most readily identifiable elements were Jewish mysticism and apocalyptic, which prophesied spiritual renovation at the soon-to-come end of the age; Hellenism, the Greek religious and philosophical legacy spread by Alexander's conquests; and Egyptian and Oriental religions — all simmering under the influence and constraints of Roman occupation. 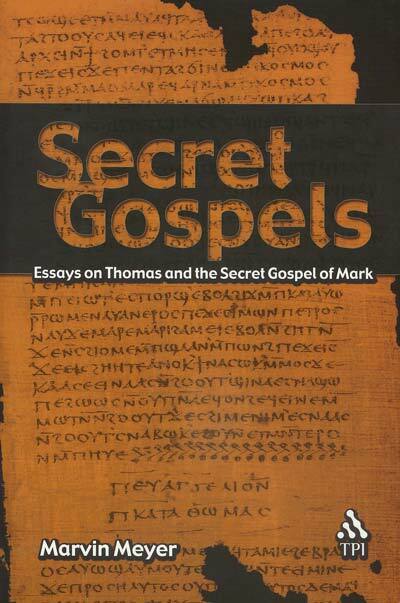 Secret Gospels: Essays on Thomas and the Secret Gospel of Mark by Marvin Meyer is an anthology of essays focusing on the Gospel of Thomas, the most well-known treatise in the Nag Hammadi collection, and on the controversial Secret Gospel of Mark discovered in 1958 at the Mar Saba monastery near Jerusalem. A professor of Bible and Christian Studies at Chapman University, Meyer begins by introducing the reader to secret gospels and his principal themes. He provides context by referring us to Mark 4:1-20 where Jesus teaches openly in parables while privately giving their allegorical interpretation to his disciples; then to the Apocryphon (Secret Book) of James, which describes "the twelve followers all sitting together, recalling what the savior had said to each of them, whether in a hidden or an open manner, and organizing it in books." Meyer rightly questions whether the latter scenario actually happened, but both episodes highlight a demand of all sacred writings: they require interpretation, the Gospel of Thomas emphasizing — cryptically — that "whoever finds the interpretation of these sayings will not taste death." The essays on the Secret Gospel of Mark consider initiatory patterns and motifs in early Christianity and, for those who enjoy detective stories, a controversial mystery of authorship that has yet to find scholarly consensus. Suffice to say that any ancient letter or gospel signed or titled with a famous person's name needs to be critically examined for authenticity — a subject more fully treated in Bart Ehrman's Lost Christianities. The story begins with Morton Smith's discovery of a 17th- or 18th-century manuscript in the Mar Saba library purporting to be a copy of a late 2nd-century letter written by Clement of Alexandria, which describes and quotes Mark's secret gospel. Smith photographed the manuscript, shared and discussed it with distinguished Clement scholars and colleagues, undertook fifteen years of laborious research and, in 1973, published his results in a 450-page volume by Harvard University Press, with photographs, transcription, translation, and a lengthy analysis of the document, its authenticity, and the historical background — concluding that Clement's letter appears to be genuine. Meyer carefully notes that while he too assumes the letter is an authentic copy of an ancient text, the actual manuscript needs to be released for scientific analysis. In Clement's view, Carpocrates was a false gnostic, a "wandering star" who, though boasting freedom, was actually a slave of servile desire. In the letter, Clement explains that Carpocrates had obtained by devious means a copy of Mark's private gospel which he then "interpreted according to his blasphemous and carnal doctrine and, moreover, polluted by mixing utterly shameless lies with the spotless and holy words." To answer Theodore's questions, Clement quotes two passages from Secret Mark, the larger excerpt depicting a variant of the Lazarus resurrection story rich with initiatory symbolism. He then specifies where in Mark the story is to be inserted (10:34), refutes Carpocrates' sexual interpolation, saying that it was never part of the original, and continues: "Now the true explanation and that which accords with the true philosophy" — and here the letter ends abruptly. Although we lack Clement's interpretation, the story's inner meaning as a mystical ascent to God's kingdom is fairly obvious: Entering the tomb (the body), Jesus (the Christ within) raises the youth (the soul), who looked upon Jesus, "loved him" and "beseeched him that he might be with him" (divine communion). Going out of the tomb to the rich young man's house (his inner world or dwelling place), after six days (of initiatory trial) Jesus tells the youth (neaniskos, a common Greek word also meaning "servant") to come to him in the evening, naked (as a babe) but wearing a linen cloth (the burial shroud of a corpse covering naked living spirit, dual symbol of death and rebirth). During the night Jesus taught the neaniskos the mystery of the kingdom of God. "And thence, arising, he returned to the other side of the Jordan" (from the sacred river's "other shore," i.e., the kingdom of God) — baptized, resurrected, and reborn spiritually. * The episode is devoid of sexual imagery and connotation; however, such stories have a mirror-like quality which reflects the mind of the perceiver — reminiscent of Rabbi Akiba and the others in the heavenly Orchard. Meyer's essays consider how the initiation scene in Secret Mark integrates with canonical Mark's narrative, shedding light on other gospel episodes which also feature a linen-clad youth: the neaniskos seized at the time of Jesus' arrest who ran off naked (Mark 14:51-2); the "young man dressed in a white robe sitting on the right side" in Jesus' otherwise empty tomb (Mark 16:1-8); and the story of Lazarus in John 11 which, interestingly, features Thomas saying to the rest of the disciples, "Let us also go, that we may die with him" — another allusion to initiation. 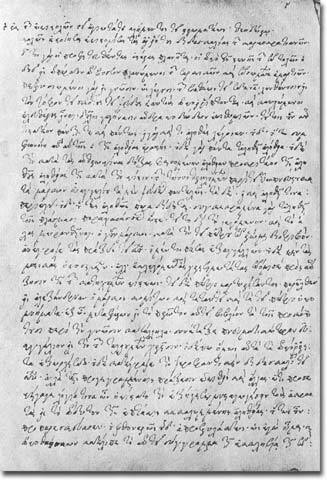 Meyer believes with other scholars that the Secret Mark excerpts may have belonged to an early version of "public" Mark, and were later omitted in what became the canonical version — just as the last twelve verses of Mark (16:9-20), absent in the earliest manuscripts, were added to strengthen a theological agenda. Whatever may be the actual history of the Secret Gospel of Mark, Clement's letter is nevertheless consistent with his known writings and with the symbols and initiatory patterns of the Mysteries adopted by many early churches. The scene of Jesus conducting a nocturnal initiation has troubled many Christians, and those who reject the idea of Jesus teaching secretly often cite John 18:19-21 as their authority. When the High Priest of Jerusalem questioned him about what he taught, Jesus is said to have replied, "I have spoken openly to all the world. I have always taught in synagogue and in the temple, where all Jews congregate; I have said nothing in secret." Contradicting this, however, are all three synoptic gospels, Paul's letters, the Apostolic secret tradition affirmed by Clement in his known writings, the Jewish esoteric background, and several Christian gnostic texts (cf. Margaret Barker, "The Secret Tradition," Journal of Higher Criticism (2:1), 1995). Moreover, the Gospel of John — which Gregory Riley, Elaine Pagels, and other scholars believe was written partly to refute or modify teachings found in Thomas (John is the only gospel with the Doubting Thomas) — is in conflict with the Synoptics in other ways, such as reporting Jesus cleansing the Temple at the beginning of his ministry, whereas the Synoptics feature this at the end. John's statement is also in conflict with itself, for example in the episode where Jesus teaches Nicodemus secretly at night (ch. 3). Part of the reason for these discrepancies is that during the first three centuries after Jesus, widely diverse Christian communities were scattered throughout the Roman Empire, and different groups received different traditions which taught different things. There was no monolithic church, no formally-defined New Testament, no ruling orthodoxy, and even wider disagreements about observance of Jewish law, basic theological issues such as the Resurrection and the divinity of Jesus, and about gnosis and the Christian secret tradition. Just as Paul reinterpreted and transformed the teachings of a relatively small Jewish esoteric sect into a growing Gentile movement proclaiming the risen Christ, so Irenaeus fathered an orthodoxy that became normative theology for virtually all Christians today. 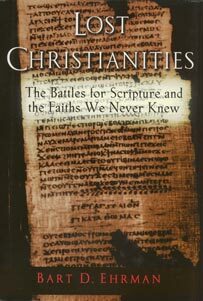 The story of what happened to the other groups and their texts and "how one early Christian group established itself as dominant in the religion, determining for ages to come what Christians would believe, practice, and read as sacred Scripture" is the principal subject of Bart Ehrman's Lost Christianities: The Battles for Scripture and the Faiths We Never Knew — and the subject of our next article. Attempting to relate "last things" — the end of one's life, end of an age, or end of the world — to the purpose and proper conduct of life, sacred traditions often depict the history of salvation as a contest or battle between good and evil, spiritual and material forces, and between cosmos and chaos, played out mainly within the human soul. Living in harmony with the divine source of life, however it may be conceived, is said to confer present and future happiness. Ideally we might hope for, even expect, a united front of the spiritually faithful; but opposing forces arise here too, sowing discord and conflict.
. . . from His marvellous mysteries is the light in my heart. My eyes have gazed on that which is eternal, on wisdom concealed from men, on knowledge and wise design (hidden) from the sons of men; . . . The Qumran writings speak also of a "covenant of grace," a "new covenant" as a "community of truth" and a refuge during the "war of the heavenly warriors [who] shall scourge the earth" until the appointed destruction: "I will lean on Thy truth, O my God. For Thou wilt set the foundation on rock" (cf. Matt 16:18, "on this rock I will build my church"). According to the Messianic Apocalypse (4Q521), "the Lord [Adonai] will accomplish glorious things . . . For He will heal the wounded, and revive the dead and bring good news to the poor." The community expected a priestly and a kingly messiah, the star and scepter (possibly united in one individual as "the messiah of heaven and earth"), and prophesied the end times were to begin about forty years after the death of its leader, the Teacher of Righteousness. Most scholars date this onset to sometime during the reign of Alexander Janneus in the early first century BCE, a prophecy which may have influenced the later Talmudic stories which place Jesus in the same era. *Cf. Geza Vermes, The Complete Dead Sea Scrolls in English, 1997; John J. Collins, The Scepter and the Star: The Messiahs of the Dead Sea Scrolls and Other Ancient Literature, 1995. *Lost Scriptures: Books that Did Not Make It into the New Testament, Oxford University Press, New York, 2003. This volume comprises 14 gospels, 5 acts of the apostles, 14 epistles and related writings, 9 apocalypses and revelatory treatises, and 5 canonical lists of Christian writings. After a helpful introduction on the varieties of ancient Christianity and "lost" (but known) scriptures, aptly entitled "Recouping Our Losses," Ehrman divides the book into three principal sections: (1) Forgeries and Discoveries, which examines issues of textual authorship, editing, and authenticity, including discussions of the Gospel of Thomas and the Secret Gospel of Mark; (2) Heresies and Orthodoxies, which looks at the broad spectrum of early Christian communities, their doctrines, and the development of "proto-orthodoxy"; and (3) Winners and Losers, which inventories the "arsenal" of religious politics (polemics, personal slurs, misrepresentation, and "invented" scripture), with a historical overview of how academic scholarship has variously reinterpreted the story of Christian origins — a subject more extensively examined by Karen King in What Is Gnosticism? Thoughtfully presented throughout, Lost Christianities concludes with a timely chapter on questions of diversity and tolerance, and of "winners as losers." Many pseudonymous writings, however, involve radically different motives than forgery or deception. Regrettably — and this limitation affects the book's perspective throughout — Ehrman omits mentioning the ascetic protocol reflected in these ancient works, especially esoteric writings, whose authors "hid their own individuality and their names, concealing themselves behind biblical characters like Enoch, Noah, Abraham, Moses, Baruch, Daniel, Ezra, and others" (Gershom Scholem, Kabbalah, p. 11). 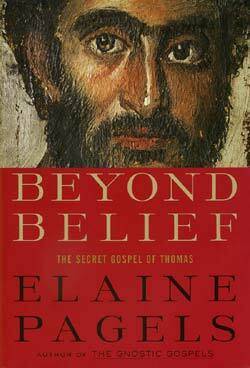 Further, while labeling the Gospel of Thomas a forgery on the same grounds, Ehrman exempts the canonical Gospels. In his view, their unknown writers made no special authorial claims, even though later people said they were written by Matthew, Mark, etc., instead of "according to" as their respective titles indicate. I think this distinction is dubious and leaves the Gospels open to the same charge. Within them, moreover, is an implied authorial claim attributing the Lord's Prayer, the Beatitudes, Farewell Discourses, and other sayings to Jesus via the disciples who transmitted them. There seems to be little difference between this claim and that of the Gospel "according to" Thomas (its actual title), in which the anonymous compiler only names the apostle who purportedly recorded the sayings (Thomas is mentioned in the third person only — never as "I, Thomas"). To illustrate the diversity of the early Christians, Part Two focuses on the doctrines and history of two groups at polar ends of the spectrum — Ebionites and Marcionites — as well as Gnostic Christian systems, mainly the Valentinian, contrasting them with the developing "proto-orthodox" views. These communities are difficult to characterize because information is often scant, inconsistent, and prejudiced; moreover, like modern Christian sects, they sometimes modified their views, differed among themselves, and split. Hence Ehrman depicts what is thought to be representative. Ehrman continues with a broad survey of the origins and tenets of Christian Gnostics who attempted to address the question of why the wicked prosper and the righteous suffer — and their writings which depict the material world as the imperfect (sometimes evil) creation of an ignorant creator, usually identified with Yahweh. Here Ehrman notes that not all Gnostics shared this theology: "It is impossible to synthesize the views, presuppositions, religious perspectives of these [Nag Hammadi texts] into one monolithic system" (p. 115). The remaining section of Lost Christianities is devoted largely to the "proto-orthodox" response to these rival groups, its assault on Gnosticism, Constantine's adoption of what became normative Christianity, the subsequent suppression of "heresies," and the loss of many Christian voices that deserve to be heard today. 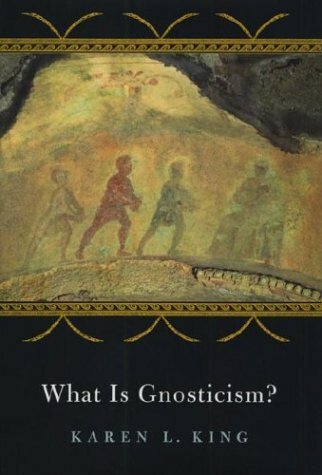 That discussion and Karen King's What is Gnosticism? will be the focus of our next article. Part IV — What Is Gnosticism? Summarizing the essence of what has come to be called Gnosticism, historian Hans Jonas called this declaration the "Valentinian formula," named for the 2nd-century Christian Gnostic Valentinus who claimed to have received Jesus' secret teachings via a disciple of Paul. It rests on the assumption that "though we are thrown into temporality, we had an origin in eternity, and so also have an aim in eternity" (The Gnostic Religion, p. 335). Although Gnostic teachers and schools of the early Christian era diverged significantly among themselves in specific doctrines and practices, they nevertheless shared this basic view of man's divine origin, as did the early churches which came to represent normative or popular Christianity. Individuals and groups differed mainly on questions as to who is saved, how and when redemption or enlightenment is to be accomplished, what are true conceptions of God and the universe, and why evil and suffering exist — questions which touch the deepest and most sensitive issues of human life and conduct. The awakening of faith and the experience of divine reality inspire the heart of the world's spiritual and philosophical traditions. Scripture and doctrine ultimately derive from them, yet their underlying basis — the revelation of divine wisdom — presupposes prophets, sages, seers, mystics, and anointed ones who are the receivers and transmitters of spiritual knowledge. When teachings cannot be personally verified, or seem to contradict one another, questions of authenticity and authority arise, returning us to Pilate's question, "What is truth?" Part Three of Bart D. Ehrman's Lost Christianities and most of Karen L. King's What Is Gnosticism? — both excellent and well-written books* — describe the conflict between orthodoxy and heresy. They focus not only on early Christian history as written by theologically-driven "winners," but as it has been reexamined and reinterpreted by scholars in light of accumulating documentary evidence such as the Nag Hammadi Library and other ancient texts. According to early Church historians, Christian heresy began with Simon the Magician of Samaria, who used his powers to convince others that he was "the power of God that is called great" (Acts 8). Tracing the history of "gnosis, falsely so-called," Irenaeus argued a century later that Simon was the original Gnostic "from whom all heresies got their start," distinguishing them from orthodoxy, that is, the "right opinions" which faithfully represent Jesus' true teaching. *Parts One and Two of Lost Christianities: The Battles for Scripture and the Faiths We Never Knew were reviewed in our last article; King's book is published by Harvard University Press, Cambridge, 2003; ISBN 067401071x, 358 pages, hardback, $29.95. Winn Professor of Ecclesiastical History at Harvard Divinity School, King has also recently published The Gospel of Mary: Jesus and the First Woman Apostle (Polebridge Press, Santa Rosa, CA, 2003), which includes an excellent synopsis of early Christian history. Heresy, however, is a word with an interesting but little known history. Derived from the Greek hairesis, "choice," it was originally a neutral term denoting among other meanings a religious sect, as for example when the Jewish historian Josephus referred to the Sadducees, Pharisees, and Essenes. Each sect (hairesis) was a community to which its adherents chose to belong — just as a modern day Christian might choose to be a Methodist or a Catholic. Most early Church Fathers, however, redefined the term to signify "intentional decisions to depart from the right belief; it implies a corruption of faith, found only among a minority of people" (Ehrman, p. 164). *Ehrman notes (p. 219) that an estimated 200,000 to 300,000 textual differences appear in the approximately 5,400 Greek copies of New Testament manuscripts and fragments currently known. *For detailed analysis, see Douglas R. Parrott, ed., Nag Hammadi Codices III,3-4 and V,1, E. J. Brill, Leiden, 1991; also Daniel R. McBride, The Egyptian Foundations of Gnostic Thought, 1994 (PhD thesis, University of Toronto), ch. 7. The letter closes with a reference to the coming savior: "All I have just said to you, I said in the way you might accept until the one who need not be taught appears among you, and he will speak all these things to you joyously and in pure knowledge." An early Christian evidently saw here a reference to Jesus and, using the letter as core text, "Christianized" it by deleting and rewording existing passages, adding considerable new material and retitling it The Sophia of Jesus Christ — now a revelation discourse of the risen Christ to his disciples. Among its theological additions (or expansions) reflecting a more classical Gnostic view is a god — the arrogant, blind, ignorant, and "Almighty" Yaldabaoth — who directly rules this world to the detriment of mankind. The rather startling paper of G. Lanczkowski about the gnostic elements in ancient American religions has led me to think of a fourth possibility. Perhaps the basic ideas were thought out in some prehistoric period as a kind of philosophia perennis, at a time before Europeans, Asians and Americans dispersed into their respective continents. — Ibid. Interestingly, none of these possibilities is mutually exclusive — all could be at work simultaneously — although Conze's fourth observation seems to point more directly to the origins of Gnosis considered as a primeval revelation cyclically renewed through avataric appearances, initiatic awakenings, and intuitive glimpses of divine realities.